What does one do when French students are revolting, standing up against an oppressive state attempting to impose unfair conditions on vulnerable workers? 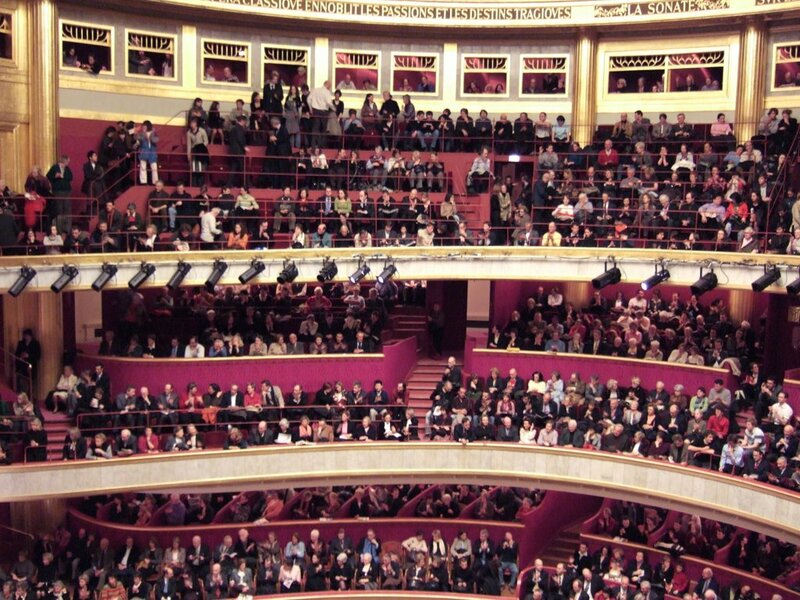 Why, go to a classical music concert in the poshest theatre in town, of course! And that’s exactly what I did recently with three friends (Dan, Lieven and Martin from Yorkshire, Belgium and Germany respectively). 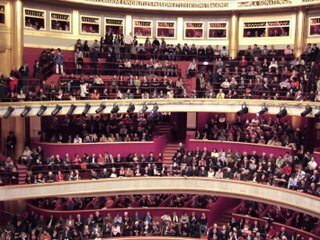 The programme was Brahms’ 1st Piano Concerto an d his Second Symphony, sandwiching Theo Verbey’s orchestral arrangement of Alan Berg’s Piano Sonata; the venue, the sumptuous Theatre des Champs-Elysées. 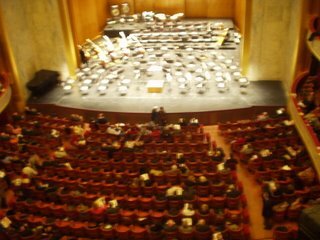 We were entertained by the Leipzig Gewandhausorchester under the baton of Riccardo Chailly. The playing was absolutely superb, and we had a good view of the pianist’s hands, albeit with a bit of craning of the neck! 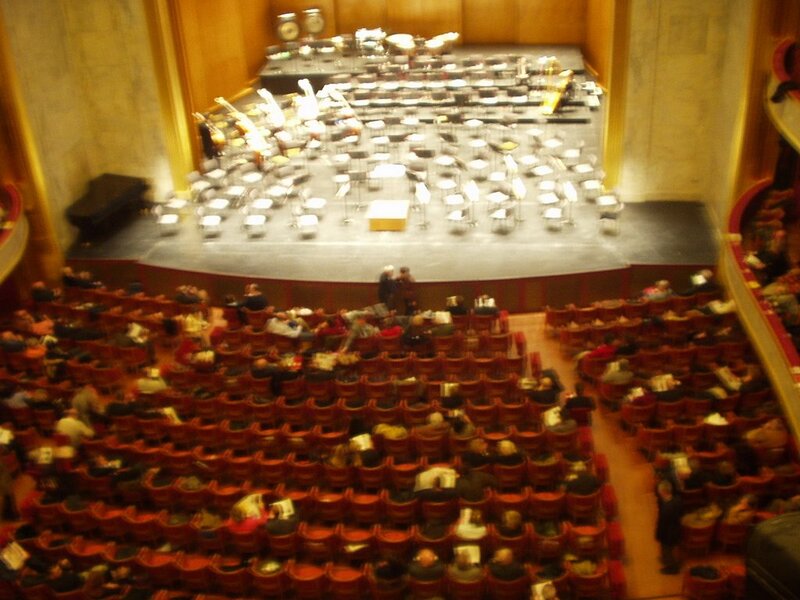 The theatre was a superb art-deco affair, with an auditorium of a couple of thousand seats. You might be wondering how four scruffy students managed to fit in in a place like that… well, we decided to change out of our rioting clothes and smarten up for the evening. After the concert, we decided to take a stroll through Paris, ambling towards a Ligne 6 station which would take us directly back to our residence. 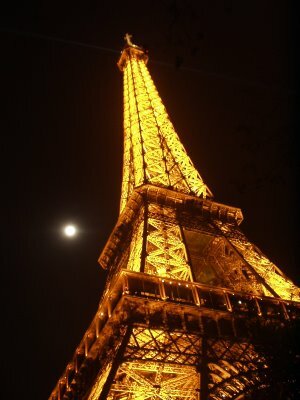 As it happened, we ended walking all along the banks of the Seine until we got to the Eiffel Tower. I think the Tower is at its most beautiful at night, with the exception of the ghastly flashing fairy lights which are turned on on the hour, every hour. I don't know what they were thinking... it makes Paris's most famous icon resemble a giant Christmas tree. nothing wrong with looking like a giant christmas tree! are you speaking from experience, Cindy?? sam - you gotta get rid of tht atrociously out-of-focus shot of the interior of the opera house - were rodently-posteriored or sthg?? ?